South Korean Crypto Exchange "Bithumb" to Resume Deposit and Withdrawal Services - Coinfomania Coinfomania: Where blockchain and cryptos live. South Korea’s largest crypto exchange, Bithumb, has announced its readiness to reopen deposits and withdrawals for some cryptocurrencies. 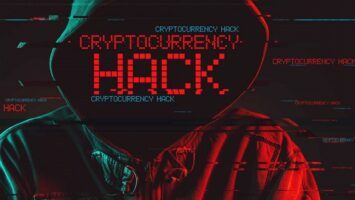 In late June 2018, it was reported that hackers stole $30 million worth of cryptocurrency from Bithumb which forced the exchange platform to suspend all deposits and withdrawals on the platform indefinitely temporarily. Bithumb, ranked as the world’s 12 largest cryptocurrency exchange by trade volume, announced that trade would commence on 4th of August from 7 pm KST (Korean Standard Time) as opposed to the earlier scheduled time of 11 am on the same day. Bithumb released another post stating that the exchange platform had planned to commence the deposit and the withdrawal of ten different altcoins, but due to more works that are needed to begin the transaction than expected, it will begin the withdrawals and deposit of nine different altcoins. The delay for the commencement of transactions was attributed to the company’s willingness to improve the stability of its platform. The nine cryptocurrencies that will be traded when the exchange resume its transaction services are BTC, ETH, ETC, XRP, LTC, BCH, QTUM, and MITH. Monero coin (XMR) was excluded, but Bithumb promised to inform users whenever transactions on the XMR will commence. This is a guest author and not a team member at Coinfomania.com. Hence, views and opinions in the article are strictly theirs.